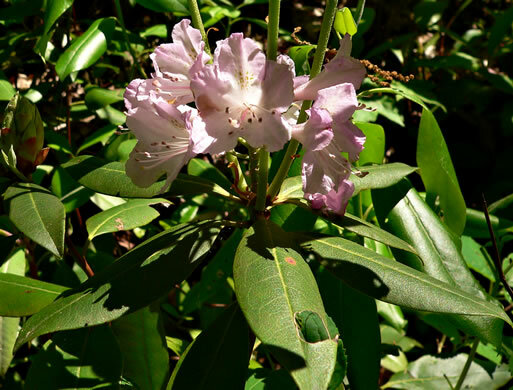 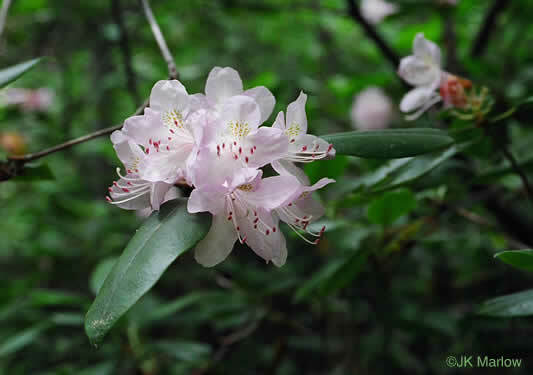 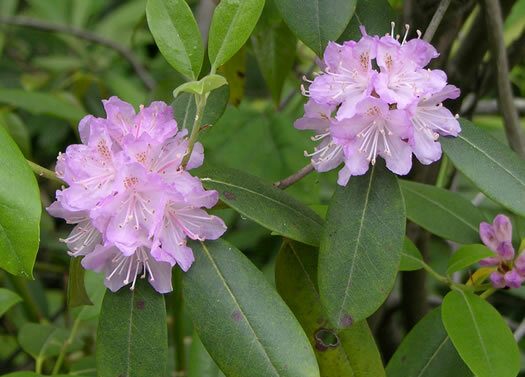 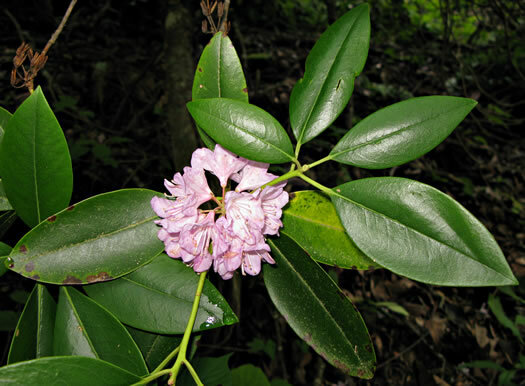 People who eat honey made by bees that forage on Rhododendron may become ill, per Wildflowers & Plant Communities of the Southern Appalachian Mountains and Piedmont. 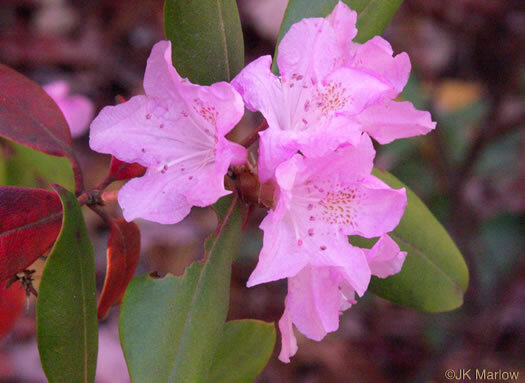 Somebody tell this plant that it's November. 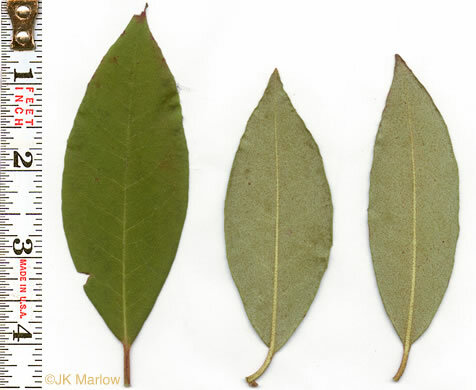 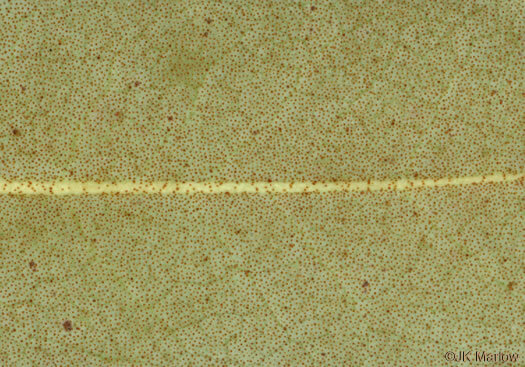 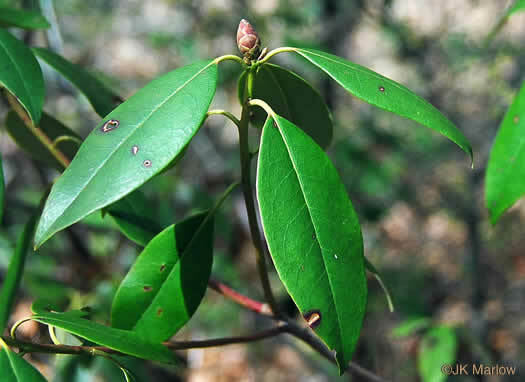 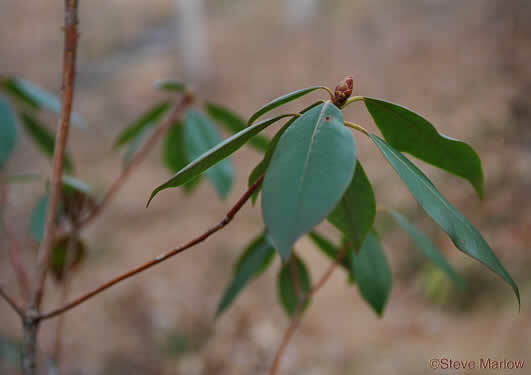 Lower surface of leaves punctate with brown scales, per Weakley's Flora.